The steps depicted below are suggestions in case the wall's level of damage is already rather high. 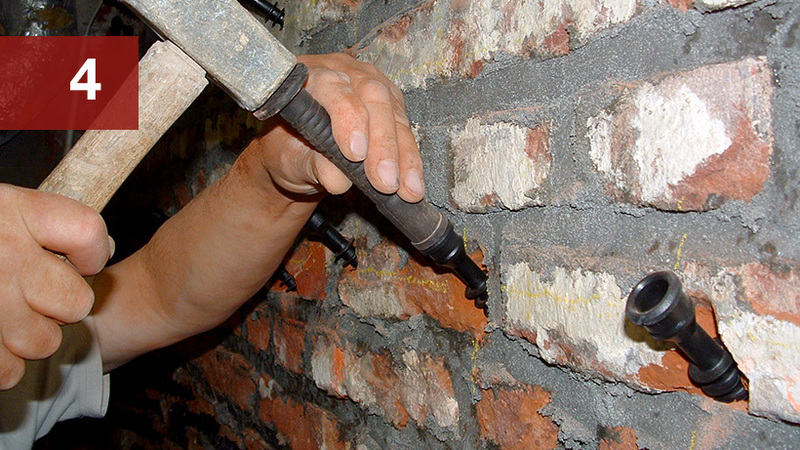 All joints need to be visible to achieve a thorough joint sealing. 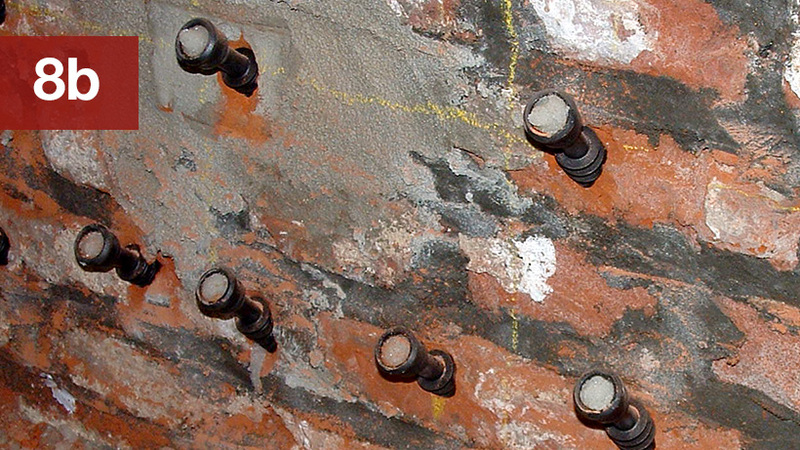 The old, scruffy and heavily salt loaded interior plaster should be removed but a revision of the joints is not needed in every case, it depends on the object. 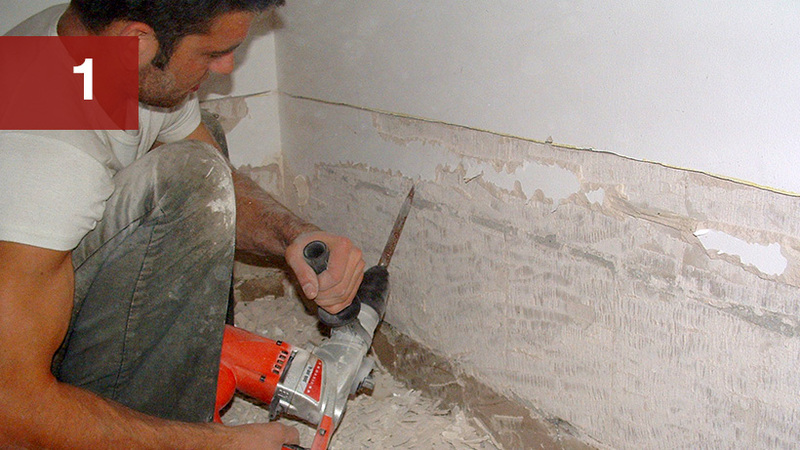 Use a jackhammer to remove the interior plaster completely, brush and clean the wall. Expose the joints approx. 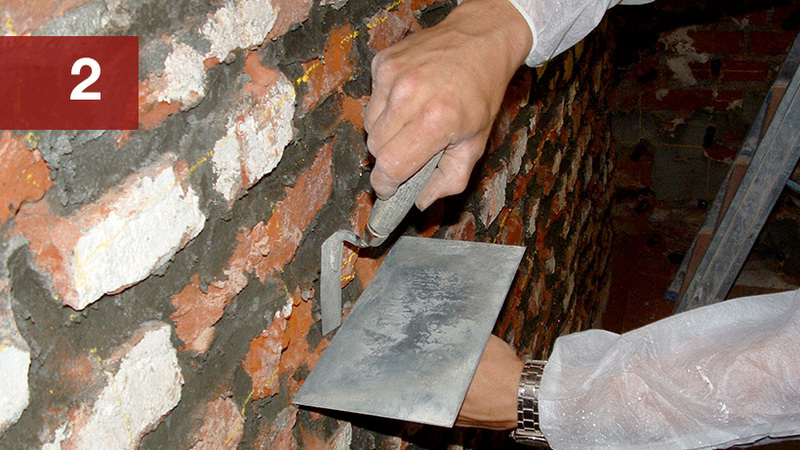 1 – 1,5 cm deep and renew them with sulfate resistant mortar. 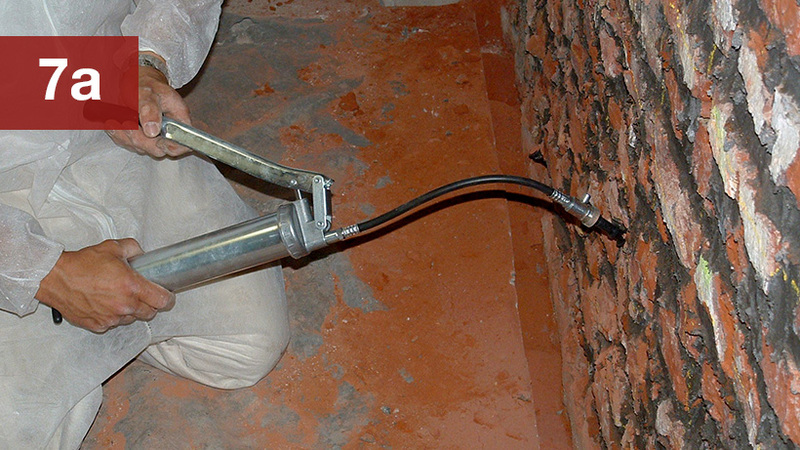 Create drillings for horizontal damp-proof barrier: Approx. 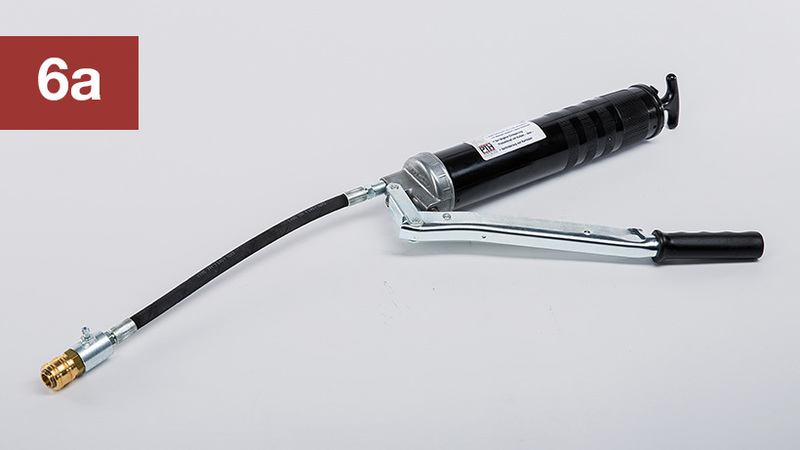 17 cm distance (6 drillings / m), approx. 30 cm deep, 45° diagonally downwards to the foundation. 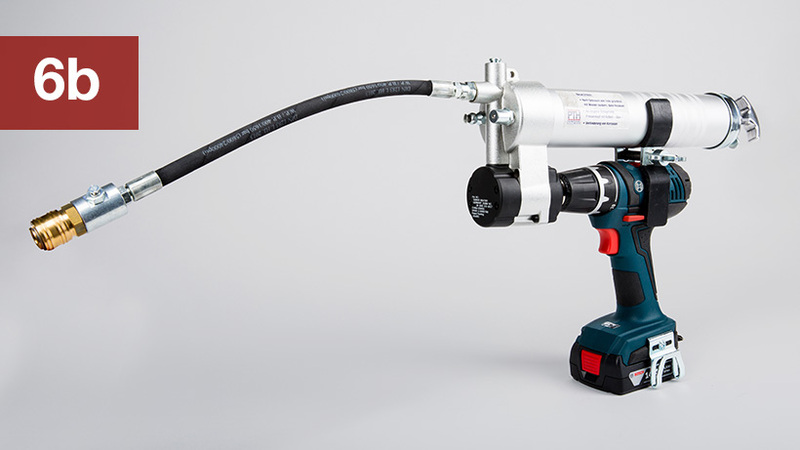 Blow out drill holes. 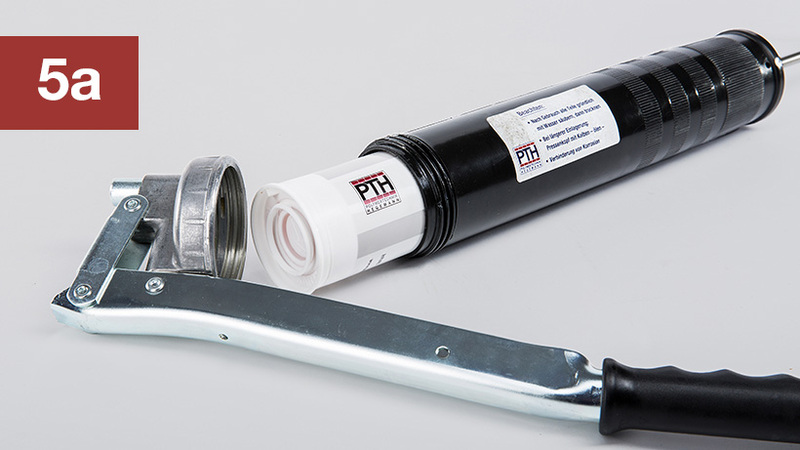 Drillings for area injections / use for traversal moisture penetration: Horizontal and vertical distances of 20 cm. 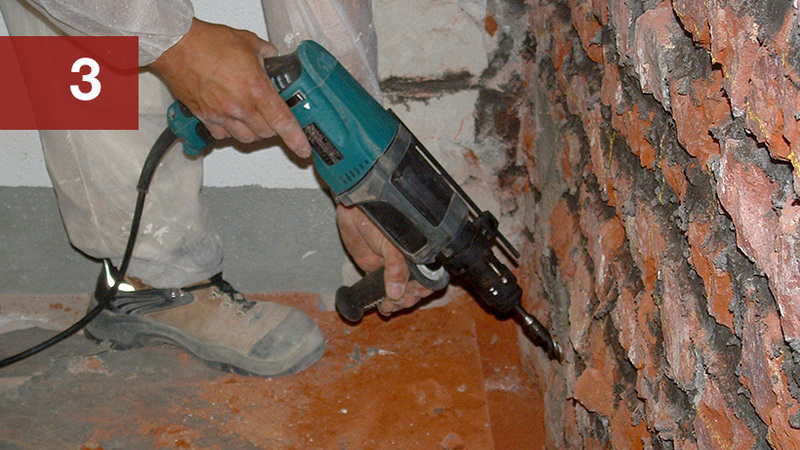 Depending on the stone size, the joints may be drilled horizontally. 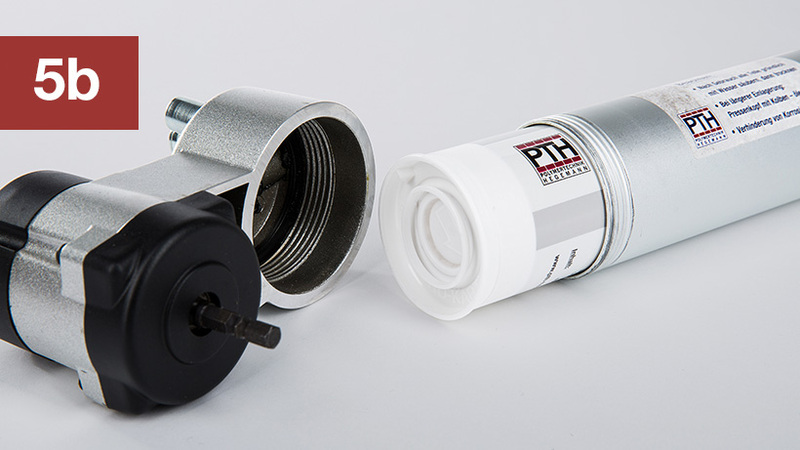 Use the riveting pin to drive in the plastic packers all the way to their last big ring into the drill hole. 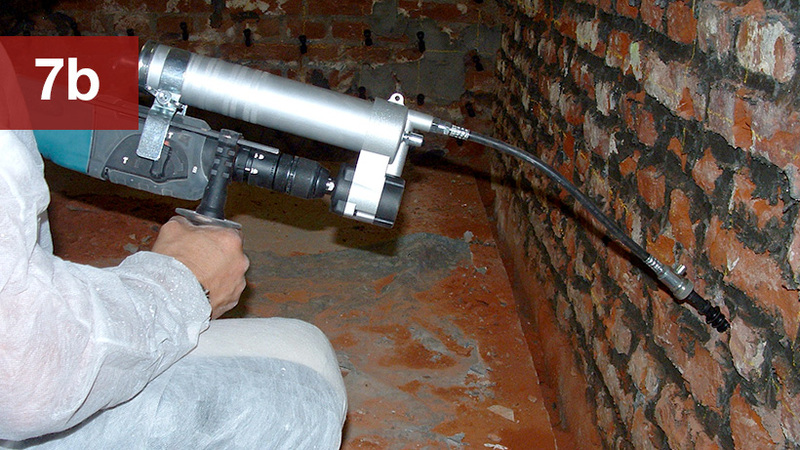 After all drillings have been filled with gel, remove the projecting plastic packers with an angle grinder, a saw or a broach flush with the wall. 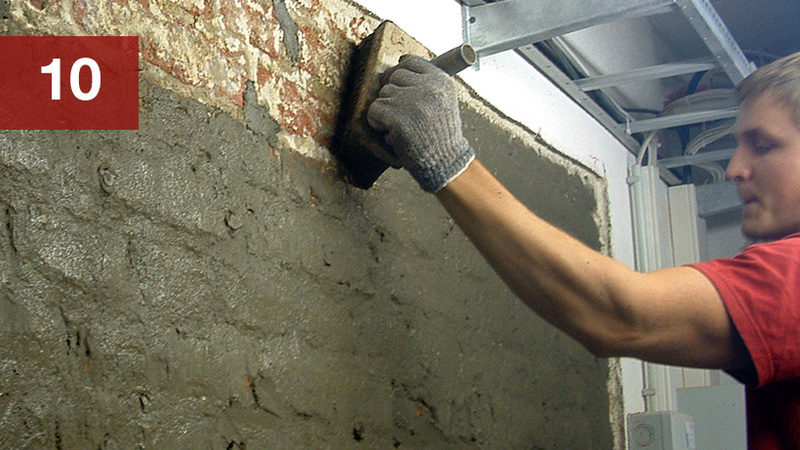 Apply sealing mud to the wall with a thickness of approx. 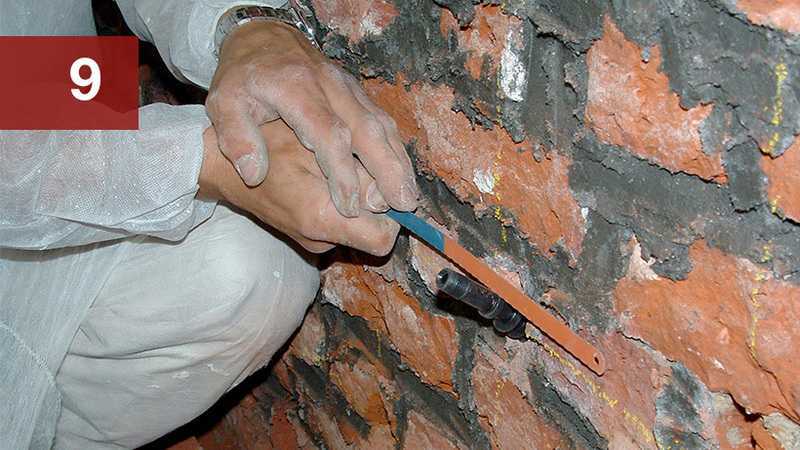 4 – 5 mm, use restoration render on top of that flush with the existing plaster.